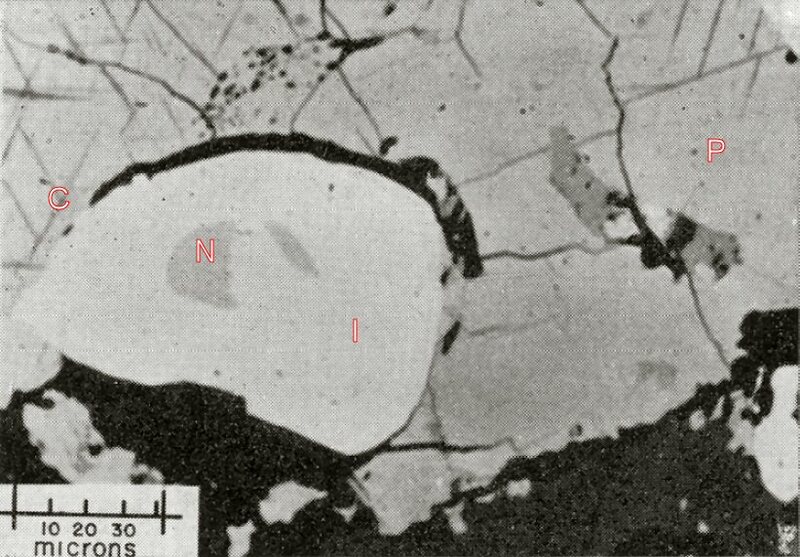 Comments: B&W image of a polished section showing insizwaite grain (I) showing details of niggliite (N) inclusions and exsolved chalcopyrite (C) lamellae in the pentlandite (P). (MinMag, v38:299). Location: Insizwa deposit, Waterfall Gorge, Pondoland and East Griqualand areas (Transkei), South Africa.